Divide dough in half. Crumble half of dough in each of 2 small bowls. In one bowl, stir or knead dough, 2 tablespoons of the flour and the green food color until well mixed. Stir or knead remaining 2 tablespoons flour and the red food color into remaining half of dough until well mixed. Shape into 44 (1-inch) balls. In small bowl, place 1/4 cup of the powdered sugar. 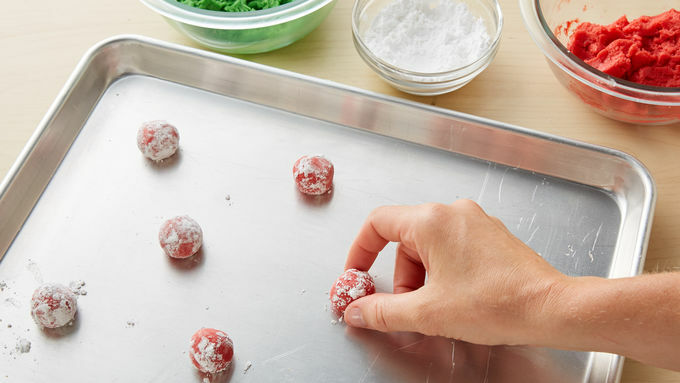 Roll each ball in powdered sugar (discard any remaining powdered sugar). Place balls 2 inches apart on ungreased cookie sheets. Bake 8 to 11 minutes or until tops are cracked and edges are set. Cool 2 minutes; remove from cookie sheets to cooling racks. 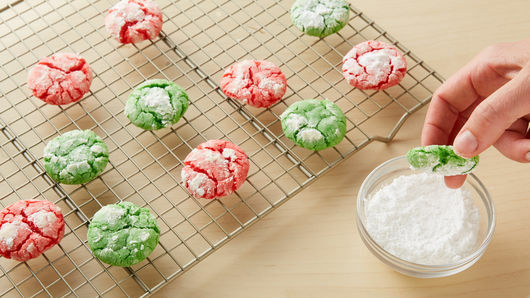 In small bowl, place 1/3 cup powdered sugar; dip top of each cookie into powdered sugar. Cool completely, about 30 minutes. Store in covered container at room temperature. 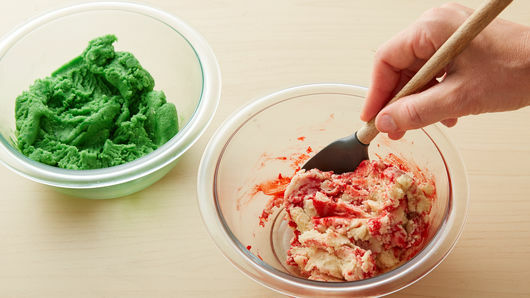 Get the kids to help make these colorful cookies. 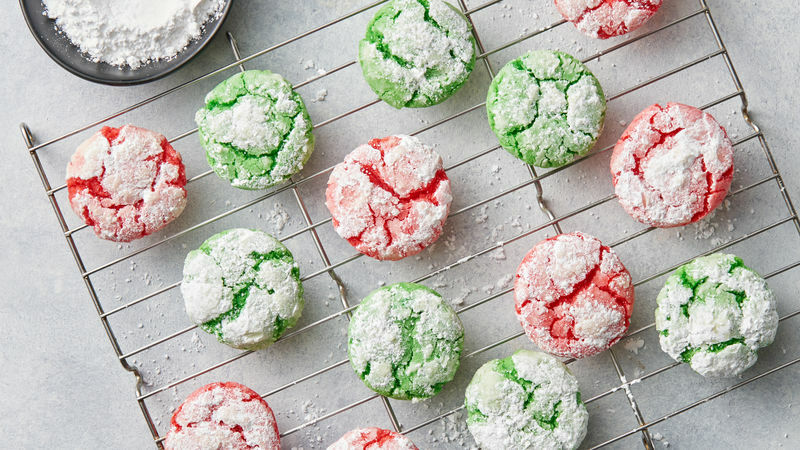 They’ll love mixing and shaping the cookies into balls. Freeze these cookies in airtight container up to 2 weeks.